Some bands can push hard into the record/tour 2-year cycle and keep churning out albums without missing a beat. One can argue the merits in either direction to this approach, but isn’t it all the more exciting to hear a band that throws its cards on the table for all to see, and then vanishes for a while, only to re-emerge even stronger? 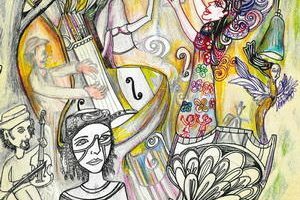 Subterranean Masquerade wowed the public back in 2005 with their debut full-length, Suspended Animation Dreams. But it took its toll on mastermind Tomer Pink, who was drained by the process and took some time off following the album’s release. 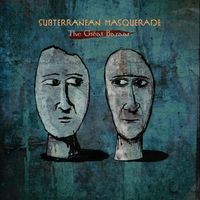 But Subterranean Masquerade returned with a two-song EP (Home) in 2013, laying the groundwork for their complete return with the recently released The Great Bazaar. Continuing the pathway started by Suspended Animation Dreams, The Great Bazaar is a must hear for any fans of progressive heavy metal. With such a momentous return, it seemed natural to discuss the band’s absence, new members, and the concepts of The Great Bazaar with guitarist/songwriter Tomer Pink. Dead Rhetoric: Subterranean Masquerade uses a number of outside the box influences in their sound. How would you classify the band? 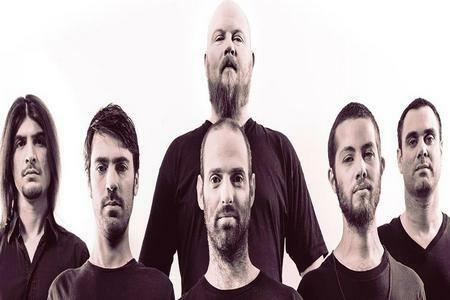 Tomer Pink: We try to create our own sound but I guess it’s safe to say we play symphonic progmetal. Dead Rhetoric: The Great Bazaar is a concept album. Could you elaborate on the themes to be found on the record? Being less philosophical, the main theme tells the story of a person who is waking up to his boring daily routine and start a conversation with that woodpecker that tells him it’s time to go for a trip, both physical and spiritual. This journey turns into a walk down memory lane as well as questioning some of the odd things you get to see as a stranger in strange land. Dead Rhetoric: How did new vocalist Kjetil Nordhus enter the band? What do you feel he brings to the table for Subterranean Masquerade? Pink: The first contact with Green Carnation happened back then when I worked at The End Records. I played their albums massively ever since and their music will always be a part of my personal hall of fame. I got contact with Kjetil while recording The Great Bazaar and eventually asked him if he would like to join it. Fortunately he was up to it and we spent few beautiful days recording the vocals and hanging out. Since this album is almost a dialog between the two sides of each of us Kjetil brings out a soft vibe that really completes the amazing growls of Paul Kuhr. Dead Rhetoric: Suspended Animation Dreams was noted as, “the most exhausting album you ever recorded.” Did you need the 8 years between to ‘recharge the batteries’ so to speak? Pink: Something like that. S.A.D. was hard to conceive. Looking back I think I made almost every possible mistake while recording it and the process ended up being very lengthy and expensive. I made a big change in my life right after making the album and couldn’t find enough energy in me to support the release properly and fight its way into the audience’s heart. I had to go a long way to feel comfortable to write new Subterranean Masquerade tunes again. I have to say it was tough and that if it wasn’t for the audience and the nice feedback I got during this long absence I might not have found the courage to start at all. Dead Rhetoric: How do you feel that The Great Bazaar compares to Suspended Animation Dreams? Pink: The Great Bazaar is different in many ways. First, we started working as a band which means that there are other people involved producing and writing the arrangements. I always like to collaborate with many different musicians as I enjoy the mixture of ideas and styles, but with this album it was all fitting really nicely and I could allow more space for everyone. I approached the making of The Great Bazaar as a sound engineer and recorded almost every single note on the album. You cannot imagine that stress that goes off your shoulders knowing there is all the time in the world to focus on playing instead of calculating studio fees. At the end we got a much more solid and well produced album. And, the influences on this album are different from S.A.D. While I feel very comfortable in the 70’s progrocck arena, this time we added some “world music” influences, using instruments we didn’t used before such as Persian Tar and Turkish Saz, all wrapped in a more “metal” suit then before. Dead Rhetoric: Did the inclusion of more “world” instruments come about from your time journeying the world between albums? Pink: Some of those “world” influences come from traveling indeed but also from the place I live and the music I listen to. I think there is something really strong with a loud playing metal riff. Dead Rhetoric: The Great Bazaar is being released on your own Taklit Music label. Are there any plans for a larger release or any label interest? Dead Rhetoric: There have been a number of high profile members of the band over the years, either actively in the band or as guests (members of Novembers Doom, Green Carnation, Agalloch, At the Gates, Winds, Orphaned Land). What do you feel attracts people to Subterranean Masquerade? Pink: Good question. I feel honored to have all those wonderful and super talented musicians on my albums. I am a huge fan of each and every one of the name mentioned above and this is unbelievable they all participate in the making of Subterranean Masquerade’s music. Pink: I grow up listening to The Mission, the album Children is probably one of the most influential albums I have ever heard. I wasn’t planning to cover this track at all, it just happened that the whole thing assembled in my head one day while taking a walk with my little boy. Dead Rhetoric: You’ve mentioned that you feel that Subterranean Masquerade is a “real band” now as opposed to a studio project. Does this mean that we can expect SM to be on the road soon? Pink: Yes! We are currently working on the live set spanning tracks from most of our albums and hope to travel a lot in support of this album. 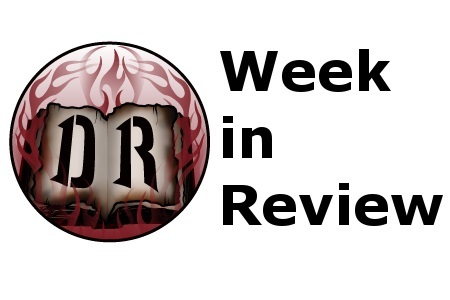 Dead Rhetoric: What’s next for Subterranean Masquerade in 2015? Pink: The Great Bazaar was released on the 13th of January as a limited edition digibook and digital download; the vinyl will be ready a little after courtesy of our over-booked manufacture. I guess we will spend the better part of the year supporting it. In the meantime I have demoed new tracks already so we might enter the studio by the end of the year.